← Top Ten Under $10…Full Face Makeup! We have all heard the old saying “You get what you pay for.” When it comes to makeup cost/quality let’s be honest it’s a slippery slope. Sometimes the price tag isn’t necessarily the the best indicator of makeup quality but other time dishing out the extra cash is a necessary thing. There are drugstore products that are just so great that there are no high end products that can compare, and in some cases high end is ONLY way to go! So where do you drop your cash & where do you pull back? Reality is you don’t have to go broke to get ALL of your must have cosmetics. There are corners you can cut. It’s all about knowing what items are worth the investment and where you can pinch a few pennies…and most of us live in a some high end and some drugstore products. What a wonderful balance! Remember (before you litter the comments with busts for your girl) there are always exceptions to the rule! This isn’t a cosmetics blanket statement, these are just some things I splurge and save on. Let’s get to the dirty stuff! There are plenty of fabulous drugstore foundations but if you have the opportunity to splurge DO IT — This is especially if you have problematic skin or wear foundation every day. The skin’s pores will absorb much of your foundation and less expensive ingredients will result in breakouts. 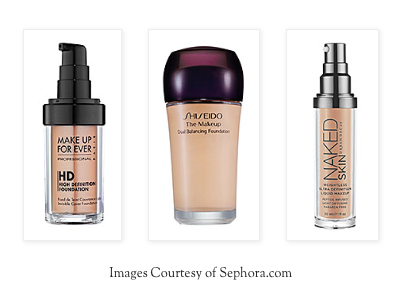 Aly Approved: Makeup Forever HD Invisible Cover Foundation $42, Shiseido The Makeup Dual Balancing Foundation $38, Urban Decay Naked Skin Weightless Ultra Definition Liquid Makeup $39. This isn’t a top priority but if you like to set your base with a powder it’s a must. A better quality product will prevent you from looking cakey (no one likes that!) Splurge on this item especially if you wear powder more than three times a week. Aly Approved: Estee Lauder Double Matte Oil Control Pressed Powder, $29, Make Up Forever Duo Mat Powder Foundation $34 & Hourglass Ambient Lighting Powder, $45. Quality ingredients are key here, too. Like a shield for your skin, primer prevents your makeup from being absorbed by your pores. You don’t always have to go high end but you will definitely spend more than $25 even with a drugstore substitute like L’Oreal’s Miracle Blur. Have you primer pull double-duty by getting it with an SPF. 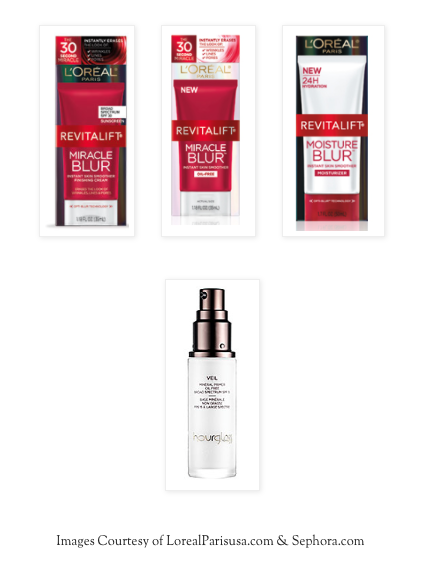 Aly Approved: L’Oreal Revitalift Miracle Blur Instant Skin Smoother Finishing Cream $25 & Hourglass Veil Mineral Primer Broad Spectrum SPF 15 (1 oz) $52. Bad bronzer is like a bad haircut — hard to hide! Cheap bronzers have a tendency to border on orange and to make your face look “muddy” rather than sun-kissed. 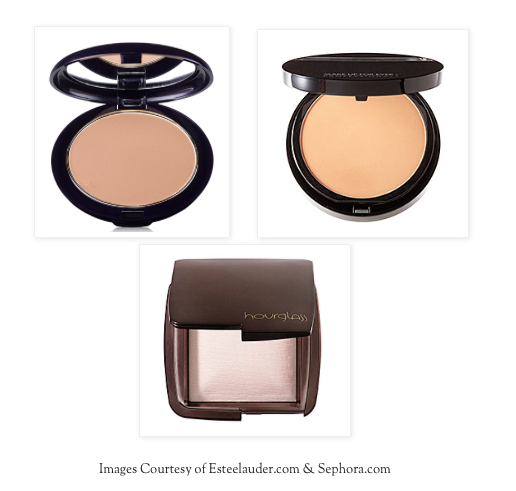 A high-end bronzer can be key to contouring your face or brightening up your look. 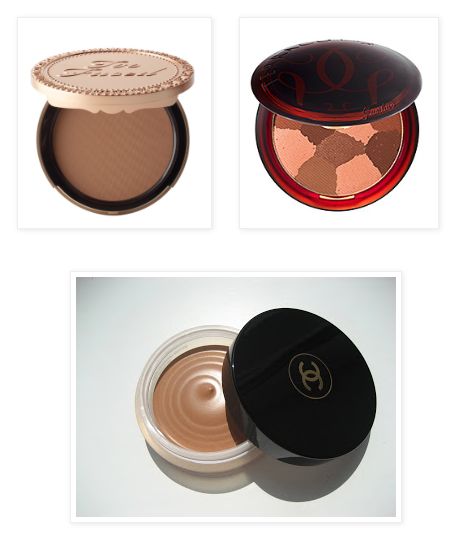 Aly Approved: Milk Chocolate Soleil Matte Bronzing Powder With Real Cocoa $29, Guerlain ‘Terracotta’ Light Sheer Bronzing Powder $50, Chanel Soleil Tan De Chanel Bronzing Makeup Base $48. Images Courtesy of TooFaced.com, Sephora.com & Chanel.com. 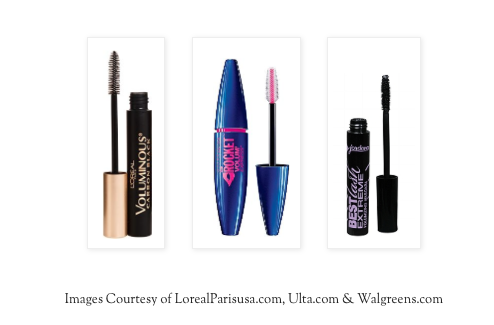 When it comes to your lashes, bargain is the way to go. Even make-up artists go budget here FYI!This is the one product you will go through the fastest, or have to throw out within 5 month deadline.Considering all the options available you for just under $9 you will spending pennies for million dollar results! 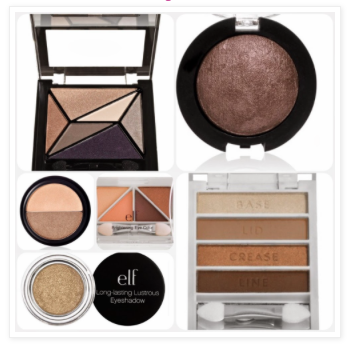 Eye shadow is the most versatile accent you can add to your face. Trends change with every season, every fashion and every whim, so why drop lots of cash on something that will change sooner than you think? Instead, have fun with lots of different low-price options &amp; colors! 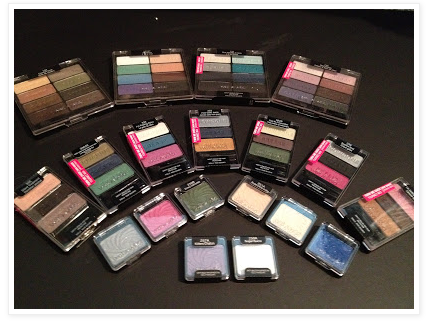 Aly Approved: NYX Eye Shadows, Eyes Lips Face &amp;Wet n Wild Color Icon Shadows. 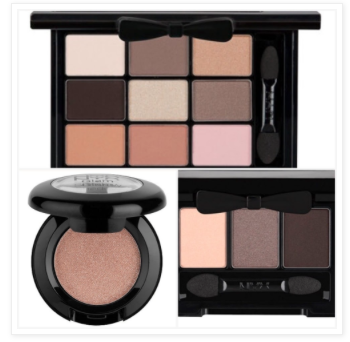 All three brands have singles, trios &amp; large palettes ranging from $1 – $15. People always looked shocked when I bring a Wet n Wild Product to the register, “Is that brand any good?” IS IT EVER! Their shadows are velvety &amp; the colors are so intense you will be floored. 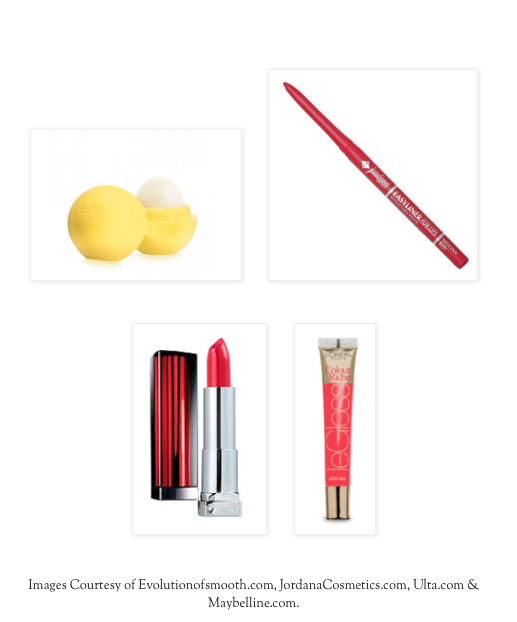 Images Courtesy of EyesLipsFace.com Ulta.com & ME! When it comes to your pout you don’t have to go pricy. From lip balm to lip stains, the drugstore is packed with reasonably-priced products for color or cure! You can definitely go bargain when it comes to eye liner. Believe it or not, the quality of the high-end eye liners often play catch up to those available at the drugstore. 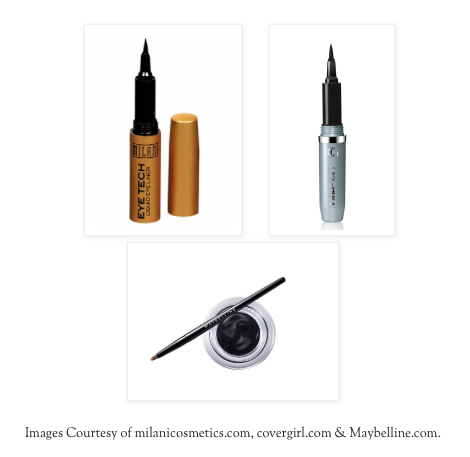 Aly Approved: Milani Eye Tech Liquid Liner, CoverGirl LineExact Liquid Eyeliner $6 & Maybelline Eye Studio Gel Eyeliner $8. So there is it loves where I cut back & splurge (most times). Again remember I still buy cheaper foundation or an expensive eyeshadow or blush but I try to stick to these suggestions. As always stay fabulous, strong and driven! Gallery | This entry was posted in Bargain Makeup, Budget Beauty, Drugstore Makeup, High End Makeup, Makeup and tagged Bargain Beauty, Bronzer, Cosmetics, Drugstore Makeup, eye shadow, foundation, High End Makeup, Makeup Blog, Mascara, Powder. Bookmark the permalink. 1 Response to Splurge or Save? Where To Put Your Beauty Bucks! I love Urban Decay Naked.